If you're shaking your head "yes", then this retreat is for you. I'm from California but now I live in the jungle of Costa Rica. I first came to Santa Teresa in 2012 and knew instantly that I was "home". It was immediately where I wanted to live, and now I've been living here for 5 years. I'll tell you the whole story when you get here or you can hear it on my podcast! I'm a licensed marriage & family therapist (in California - LMFT# 82229) and a yoga teacher, so a perk of this retreat is that you will experience deep personal transformation on this soul-satisfying week-long adventure. I met Russell here in Costa Rica & we fell in love! Now we get the privilege of waking up to the first light in the sky, hearing the waves, and staring at the ocean. We start the day by surfing and doing yoga, before we start our work for the day. We never work too hard though, and we make sure we always have the perfect view of the sunset! We hope you'll join us! I first came to Mal Pais, Costa Rica in 2006 from the south coast of England. Lured here by the waves I soon fell in love with the lush jungle, beautiful beaches and array of organically grown, local, fresh foods that were available. 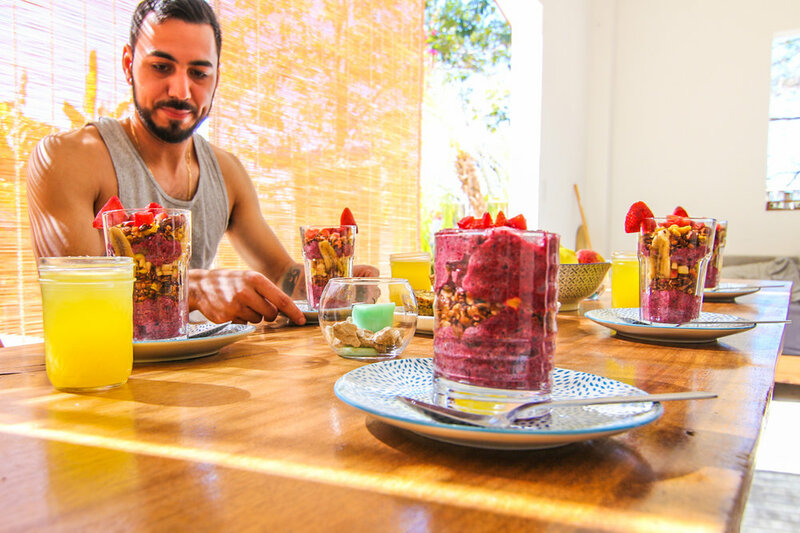 I originally worked as a surf instructor while I ran a guest house with my uncle, but my hunger for good food and my passion for sharing it with others led me to cook for guests and to host many dinner parties. I went on to work with some of the best chefs in the area and created my private event & retreat catering company, Sourced Cooking. My personal journey has led me to being an advocate for plant-based cuisine. Rima and I make a good team as we are aligned in our values & I love to co-create with my partner in this way, bringing both of our passions together to turn out one epic week of adventure & exploration. 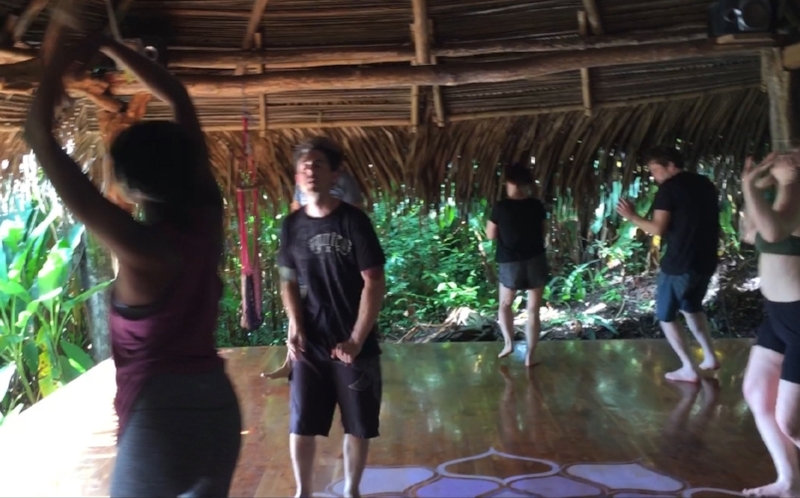 This retreat experience is special because you get the benefit of leaving the work to us and getting the tried-and-true best of the best of Costa Rica. That's because each day, we'll have fun as we explore a side of Costa Rica that you won't get to explore if you came alone or with retreat leaders that don't live here. You'll also enjoy one cooking class! Enjoy daily yoga classes, meditation and sound healing. 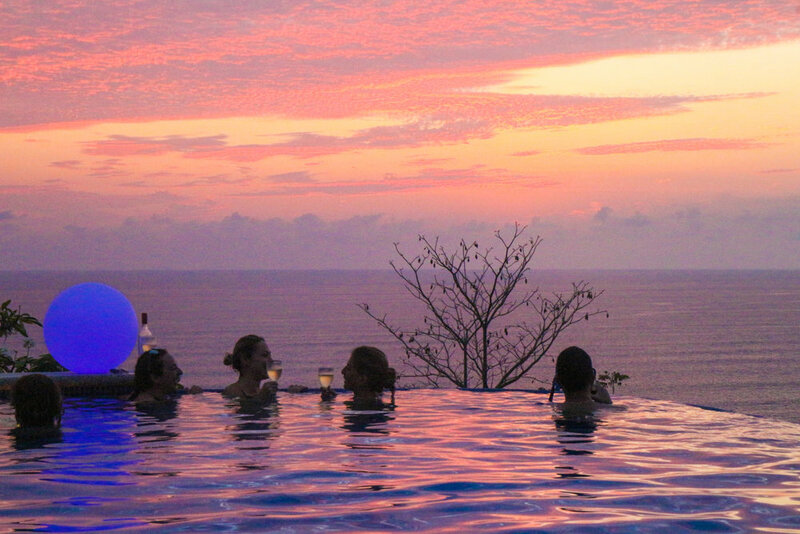 You'll get to tour Costa Rica from a new view - the ocean. We'll go exploring as a group and enjoy a delicious, homemade lunch on the sea. Don't worry if you've never done it before. No experience necessary! 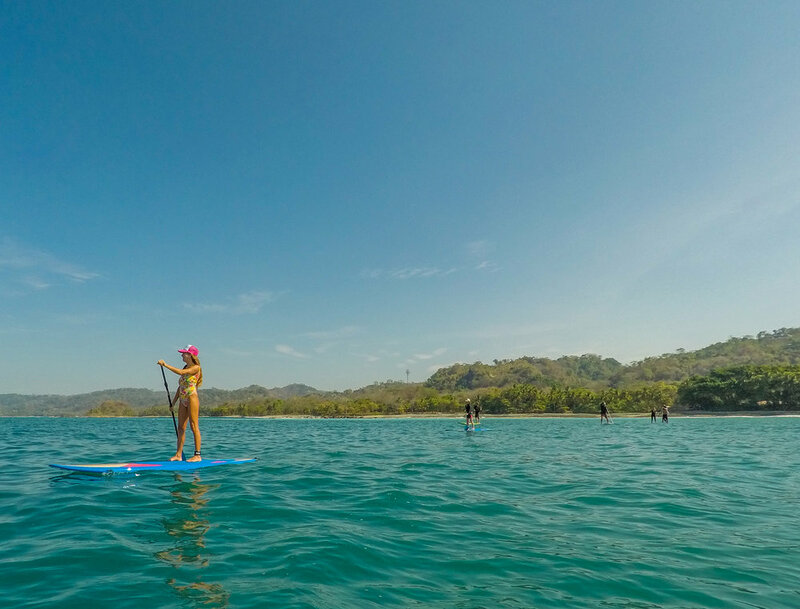 We include one stand up paddle-board tour per person, including equipment. 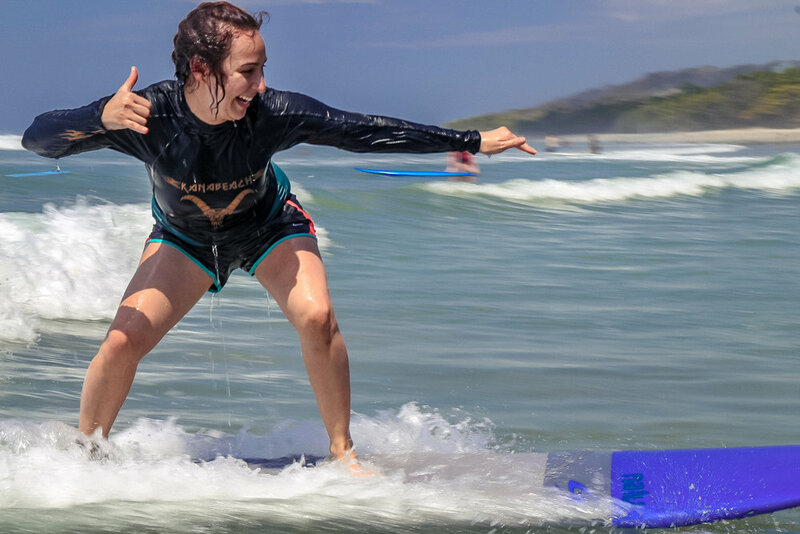 TWO surf lessons are included per person, including board rental. *Triple accommodations are available if traveling in a group of 3.